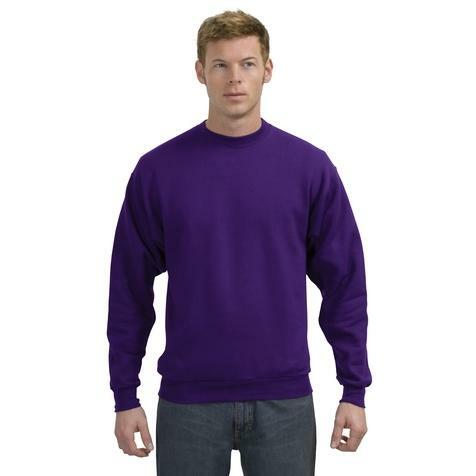 This Hanes Comfortblend sweatshirt is a weekend staple. Made of 7. 8-ounce, 50/50 cotton/polyester low-pill Air Jet Spun Yarn. Features PrintPro XP fleece with high-stitch density for superior embellishment, coverseamed neck and armholes, ribbed neck, cuffs and waistband, and set-in sleeves. Embroidery will be added to left chest.